Levees and bridges vulnerability evaluation (Tiber River and Caina stream). 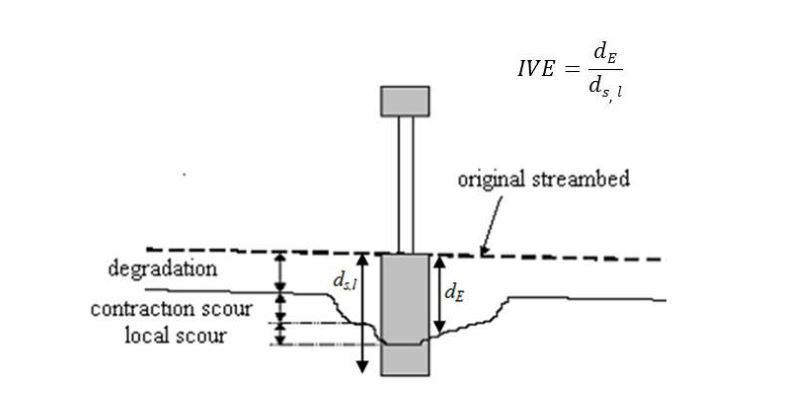 Assessment of bridge piers/abutments vulnerability to scour and overtopping hazard, assessment of levee vulnerability to seepage and overtopping hazard. The analysis is based on clearly identified criteria. Specifically, overtopping (IVS) and erosion (IVE) vulnerability indices are evaluated for each selected bridge, and the overtopping (IVsorm) and seepage vulnerability indices (IVsif) are calculated for the levees. Local Civil Protection authorities, National Department of Civil Protection, bodies responsible for territory conservation and protection to address inspection/maintenance of levees and bridges. 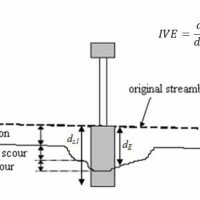 For the evaluation of the bridges vulnerability, the overtopping (IVS) and the erosion (IVE) vulnerability indices are considered. 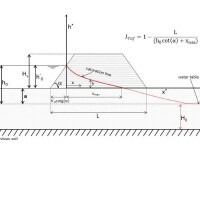 The first one is calculated as a function of the safety freeboard and the effective freeboard. The value of this index indicates no vulnerability (IVS <0), mean vulnerability (0 ≤ IVS <1) or high vulnerability (IVS ≥1). 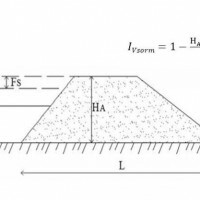 The second one is calculated as a function of the dipping depth at the base of the bridge pier, or abutment, and the depth of foundations, calculated from the bottom of the river bed. Considering the index value, we have: null vulnerability (IVE <1), low vulnerability (1 ≤ IVE <2) mean vulnerability (2 ≤ IVE <3) or high vulnerability (IVE ≥3). 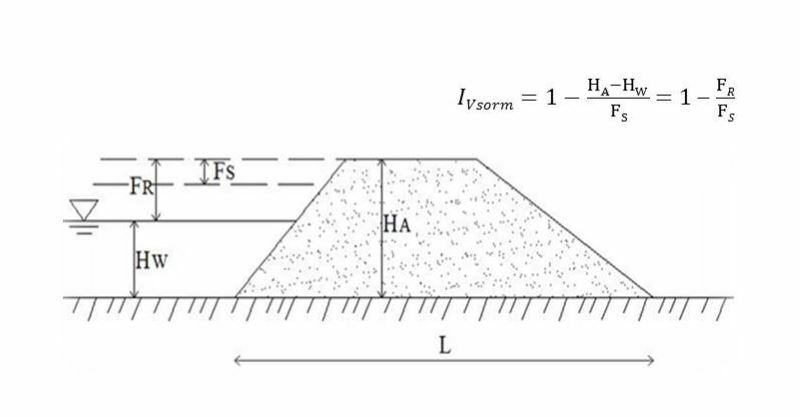 As concerns the levees, in order to estimate the overtopping vulnerability, the IVsorm index, which is a function of the safety freeboard and the effective freeboard, is considered. Its value indicates no vulnerability (IVsorm<0), mean vulnerability (0 ≤ IV sorm <1) or high vulnerability (IVsorm ≥1). Finally, for the levee vulnerability to seepage, the IVsif index, referred to a dimensionless levee, is considered. 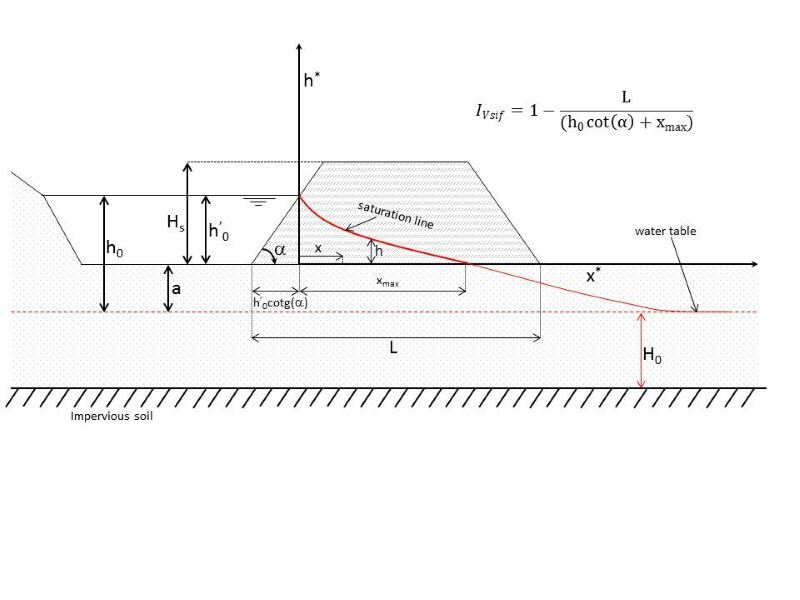 In particular, the fragility curves, relating the index value and the probability that the levee is vulnerable to piping, are drawn.